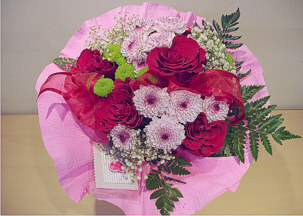 On-line flower shop www.flowers2bulgaria.com is offerring its products and services under the conditions of use specified on this page. If you want to use our site, you will be obliged to accept all the terms and conditions hereby. 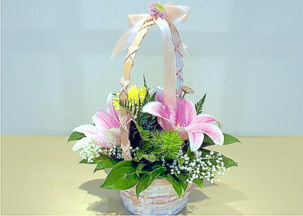 This document is comprised of all terms and conditions under which Vanilla Floral Design EOOD and Vanilla Online EOOD offer their products and services to their users through their internet site www.flowers2bulgaria.com. Vanilla Online EOOD (called further on "the Company"), as creator and owner of the site flowers2bularia.com gives you the right to view and downloand all materials published in this web site (called further on "the Site") only for personal non-commercial use under the condition that you comply with all proprietary rights and trademarks. You may not modify, remove, delete, augment, add to, publish, transmit, participate in the transfer or sale of, create derivative works from, or in any way exploit any of the content of the Site, in whole or in part for any commercial use or purpose. All products and services are offered under the specified conditions in the Site. The company has the right at any time to alter and modify all published content, conditions, prices and services without advance notice. 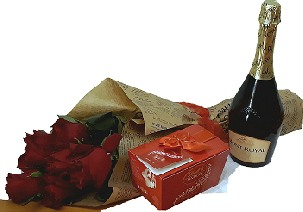 The merchant will make the utmost effort to deliver each product in the same form as the one presented on the site. 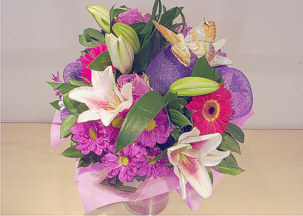 However, given the nature of the input materials (flowers), there are possible differences between the presentation of the product on the Site and the form in which it will reach the recipient. 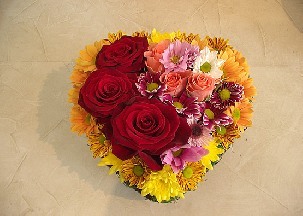 The vendor reserves the right to exchange seasonal flowers with other varieties that have a similar look and value with which the bouquet seems to be identical to the one presented on the site. 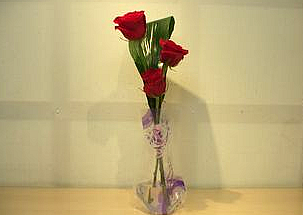 YOU EXPRESSLY AGREE THAT USE OF FLOWERS2BULGARIA.COM IS AT YOUR SOLE RISK. 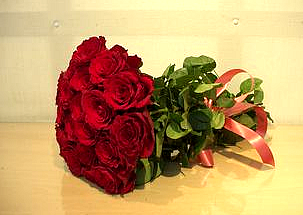 NEITHER THE COMPANY, NOR ITS AFFILIATES, NOR ANY OF ITS OFFICERS, DIRECTORS, OR EMPLOYEES, AGENTS, THIRD-PARTY SERVICE OR CONTENT PROVIDERS ("PROVIDERS"), MERCHANTS ("MERCHANTS"), SPONSORS ("SPONSORS"), LICENSORS ("LICENSORS"), OR THE LIKE (COLLECTIVELY, "ASSOCIATES"), WARRANT THAT FLOWERS2BULGARIA.COM WILL BE UNINTERRUPTED OR ERROR-FREE; NOR DO THEY MAKE ANY WARRANTY AS TO THE RESULTS THAT MAY BE OBTAINED FROM THE USE OF FLOWERS2BULGARIA.COM OR AS TO THE ACCURACY, RELIABILITY, OR CURRENCY OF ANY INFORMATION CONTENT, SERVICE, OR MERCHANDISE PROVIDED THROUGH FLOWERS2BULGARIA.COM; EXCEPT THAT THE COMPANY DOES GUARANTEE THAT YOUR FLORAL ARRANGEMENT WILL STAY FRESH FOR SEVEN DAYS AFTER DELIVERY AND THAT OUR FOOD STUFF PRODUCTS WILL BE WHOLESOME AND FREE OF SUBSTANTIAL DEFECTS, AND IF THEY ARE NOT, THE COMPANY'S SOLE MAXIMUM LIABILITY WILL BE, WITHIN ITS SOLE DISCRETION, NOT MORE THAN TO EITHER REFUND THE ACTUAL PURCHASE PRICE PAID BY THE CUSTOMER, OR TO REPLACE AND DELIVER AN EQUIVALENT FLORAL ARRANGEMENT OR AFFECTED FOOD STUFF PRODUCT AS SOON AS REASONABLY PRACTICABLE. Flowers2bulgaria.com has the right to change the prices under discretion at any time without advance notice to its users. The user is obliged to pay the price that is valid during the making of the order and payment. The maximum payment amount is 10 000 BGN. Our policy is to refund 100% of your order (wiothout any commissions and taxes) if you cancel your order two working days before delivery date and 50% of your order if you cancel it 1 working day before delivery date. In case that you decide to cancel your order on delivery date we shall recover 25% of the amount of your order. This policy is applicable only if we have not started the process of preparing your order for shipment. 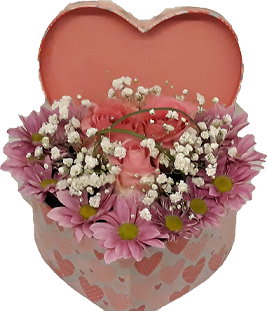 For all orders for which we have initiated the process of delivery including ordering the flowers or products, making arrangment or arranging delivery, we can not recover any amount of your order. We also can not refund you in case of wrong or not full address or other reason outside our reach preventing us from contacting the receiver and arranging the delivery. In case of refunds, the same will be made in up to 14 working days. We try to offer the best possible products and services to our clients. In case that a client is not satisfied by a product or service and has a valid reasons for the claim, we shall recover all or part of the paid amount for the product or service or alternatively shall offer another compensation if the claim is placed not later than 24 hours after the delivery. Flowers2bulgaria.com manages this site from its office in Varna, Bulgaria. 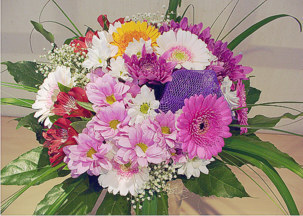 Flowers2bulgaria.com can change these terms and conditions at any time by indicating the date of change. We recommend you to visit this page from time to time in order to check the current terms, since they are obligatory for you. 3. The transaction currency is Bulgarian Lev (BGN) and all payments made in other currencies are according to the valid echange rate of the currency to Bulgarian Lev. 4. 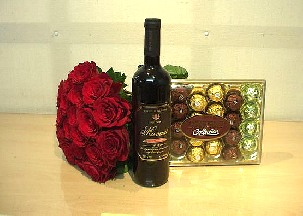 The shipping costs, which are not included in the value of the products can be checked in the page Delivery. 5. 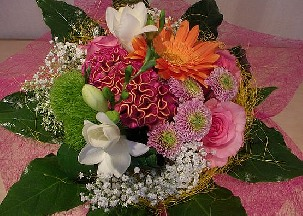 Flowers2bulgaria.com does not charge you any abnormal rates for your communication with us. 6. All delivery conditions are described in the page Delivery.